SOLIDWORKS PDM enables your teams to securely store and index design data for fast retrieval, eliminate concerns over version control and data loss, and collaborate on designs in multiple locations. This is a must-have program that integrates flawlessly with SolidWorks. I am not sure how you would be able to keep everything straight if you didn't have PDM. This program has a lot of great built-in tasks, functions, and features that make the program well worth the money. Some of the names of the features could be renames and easier to understand. Some of the simple features that it should do automatically take a long time to set up since everything needs to be set up custom. Creating all the variables and assigning them to the proper spots is a pain. This is a must-have program if you are using Solidworks. This has solved losing files and making sure everything is in a spot that everyone can work on them at the same time. This program makes all the models, drawings, and more easy to find. 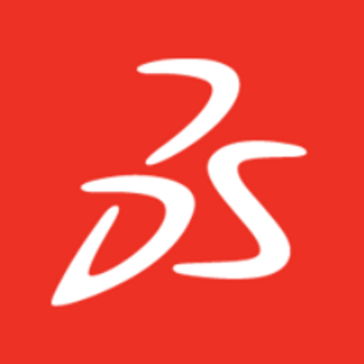 "Amazing experience using SolidWorks Premium." I use SolidWorks every day for various purposes. I model the different components my company researches and assemble them to help visualize their purpose. Being able to edit and change several parts at once using their functions tool saves a lot of time and hassle when you need to move fast. The toolbox add in is also extremely handy to quickly insert fasteners or simulate other components, such as power transmission. I often will create drawing files for my parts to be sent off and quoted by various machine shops. If I ever run into an issue regarding SolidWorks, the Help forum online is extremely useful. There aren't many things I dislike about SolidWorks. The only thing that truly comes to mind is when creating a drawing file, the default view will not let you see the orientation of the part until you have actually placed it. It's a slight inconvenience but it can be annoying. For a modelling and basic simulation tool, there's no better diverse software to use! Using SoldiWorks, I simulate various loading scenarios on my components and it's great because it shows me several areas of stress concentration which I can design for. "Robust system with networking issues"
The vault storage and ability to track revisions within it is very useful. The search could be updated, a glossary of search types so that I know what special characters are used to search specific ways. The vault access loading to individual computers is the slowest part of using the Solidworks suite. Multi-designer use of parts, avoiding duplication of efforts, the tie in with JDE for ordering is also incredibly useful. This makes it easier for us to communicate and share machine designs. It works very good for a file organization program. You can have the files encrypted and safe to be used by everyone. The workflows allow tracking of all your drawings or other critical files. It is a little expensive for someone that just wants to be able to see things every once in a while instead of daily use. As long as you need to maintain how files are changed and what changes are made on them, this is a great program. We are able to keep our drawings and other proprietary files safe and encrypted, while still allowing access to our files for those authorized to see them. It is a very good product that and is one of the most user friendly CAD programs on the market. Making a drawing and turning it into a 3D model is extremely simple and very easy to edit once it is created. Very cheap compared to its competitors and a great value. Though it is a very good product, it clearly is not as powerful as some of its competitors. It has serious limitations that can be a deal breaker for some companies. Stress tests are not as accurate as a more costly software. My favorite CAD software currently on the market, considerably the most user friendly. Allows you to analyze a product without actually having to produce it. Helped me save money by making virtual prototypes. the smooth file management system and customization within EPDM has helped our company to integrate processes directly into our software and create consistency among the team and a more reliable output. I appreciate that I am able to change the state of a document in the workbook itself instead of having to do it through the file explorer window. I don’t like that it takes so long to load and to open. We are able to keep track of documents and their stages as well as solve problems much more efficiently. Ease of use. The integration within Windows Explorer helps keep everything familiar. The group controls make handling rights to files very easy. Manual BOM building on older products has some bugs. Crashes from time to time. Organizing all CAD data easily and keeping revision control. "7 Years of experience with PDM"
The organization of everything is so simple! It keeps record of all changes and helps put everything into its place. Can be confusing setting up initially but the help is is good. We have many files that need protecting and have to have changes recorded and this does great at both. "Useful for making realistic models and rendering "
Numerous options to customize the models - surface, texture, material, lighting effects etc. It’s ideal for individual workers or freelancers. Nx is more suitable for companies as it provides PLM/PDM support. Coverting ideas into virtual models. Useful to understand concept, check reliability. The ability to seamlessly manage files in a single data location is great. A bit of a learning curve to initiate the process but get ls easier with time. File management and revieion management are essential for our business and clients. * We monitor all SolidWorks PDM reviews to prevent fraudulent reviews and keep review quality high. We do not post reviews by company employees or direct competitors. Validated reviews require the user to submit a screenshot of the product containing their user ID, in order to verify a user is an actual user of the product. Hi there! Are you looking to implement a solution like SolidWorks PDM?